‘Nayru’s Knowledge’ was one of five teas created due to a custom tea request. 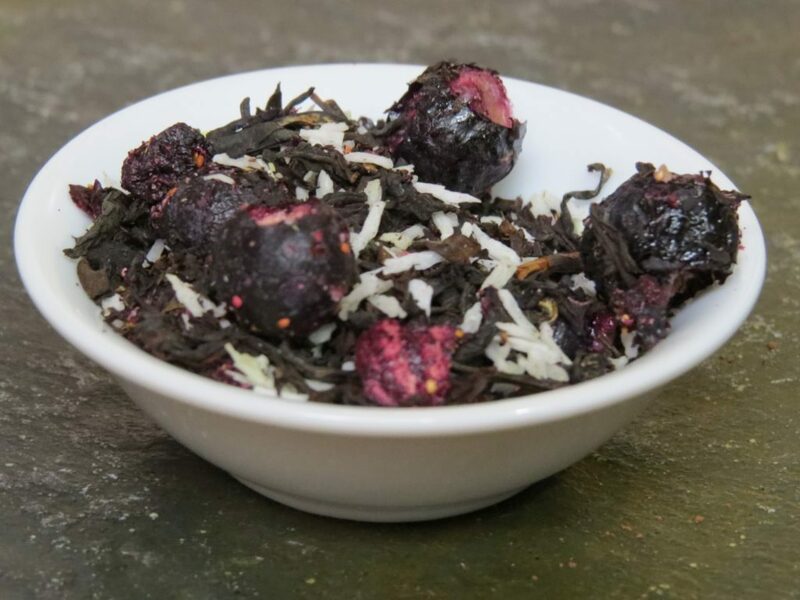 The desired tea required a blend of mate, rooibos, and black tea. As per our typical protocols, we crafted this separately. The tea blend would be the foundation, and we wanted to be sure we had that right before adding the other ingredients. 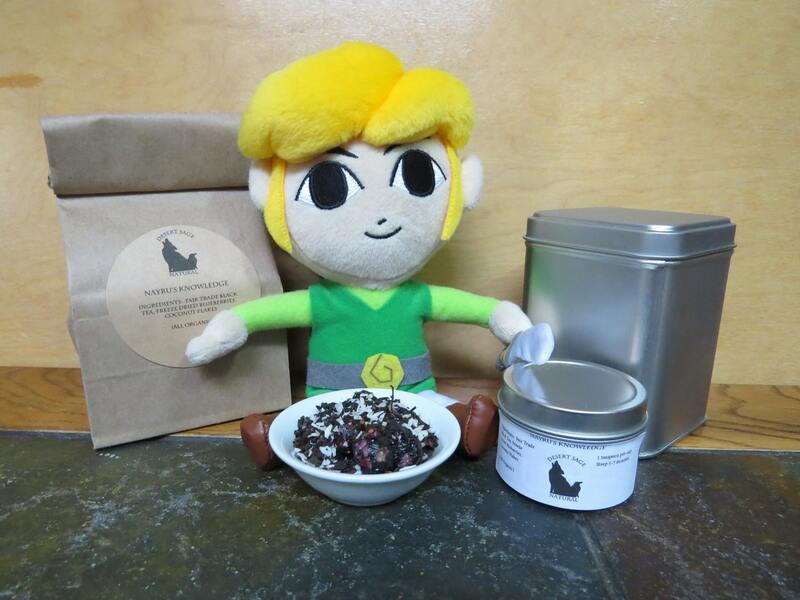 Due to the osmosis of geek-knowledge, I knew enough of Zelda to think of ‘Triforce Tea’ for such a blend. Crafting a tea for each goddess based around each of the teas used in ‘Triforce Tea‘ seemed a fairly obvious path from there. We decided that black tea would be the foundation for Nayru’s – as we felt it fit the concept of ‘law and order’ if considering it from a tea perspective. The blueberries and coconut were primarily chosen because of their effects on the health of the brain and eyes. (Perception and thought being part of the path to wisdom.) It was a combination that reflected aspects of Nayru, as well as being quite tasty. This entry was posted in Black Tea, Fruit, Simply Tasty Teas, Things We make (Tea, Coffee, Cocoa) and tagged Desert Sage Natural, Gamer Tea, Geek Tea, Organic Coconut, Organic Fair Trade Black Tea, Organic Freeze Dried Blueberries, Organic Fruit Tea, Organic Fruity Tea, Simply Tasty Teas, Zelda Teas by DesertSage. Bookmark the permalink. "Your esteemed Father Luke Wadding possesses a further quality that, in both this world and the up-timer's, made him anathema to all the papal parties, even though he was much admired by the individuals comprising them." Sean Connal nodded. "Integrity."